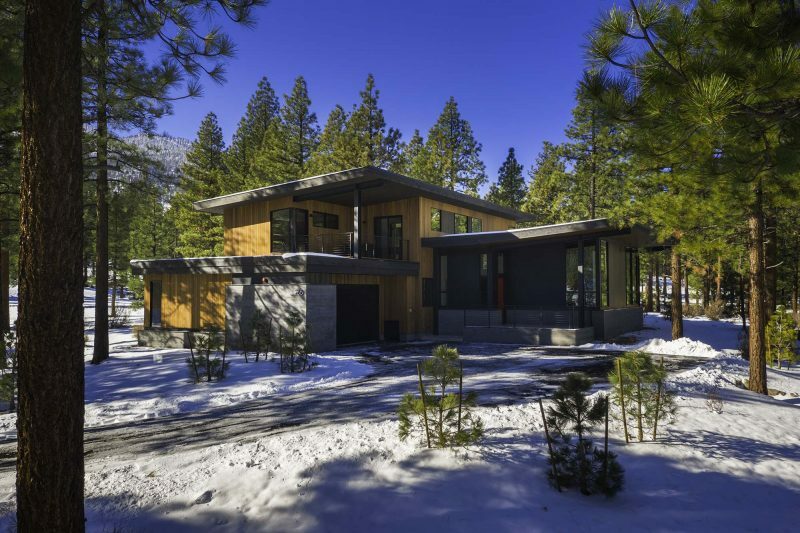 Situated among towering Ponderosa Pines within the private gated Clear Creek Tahoe community, this modern architectural home provides a sophisticated environment to enjoy the natural beauty of the Lake Tahoe area. Clear Creek Tahoe is a mountain community in Nevada within 20 minutes of Lake Tahoe. The community amenities include a golf course, access to a ski cottage, and use of a family campus. Situated on 2,136 unspoiled acres, homesites here are as dramatic and diverse as the land itself, where the contours, elevation changes and character of the land offer spectacular views in every direction. 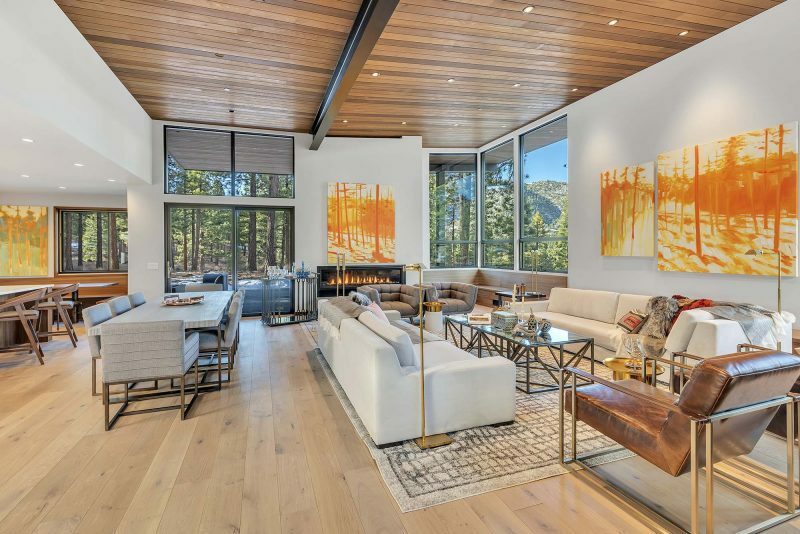 The layout of this custom retreat is designed for comfort, privacy and flexibility. 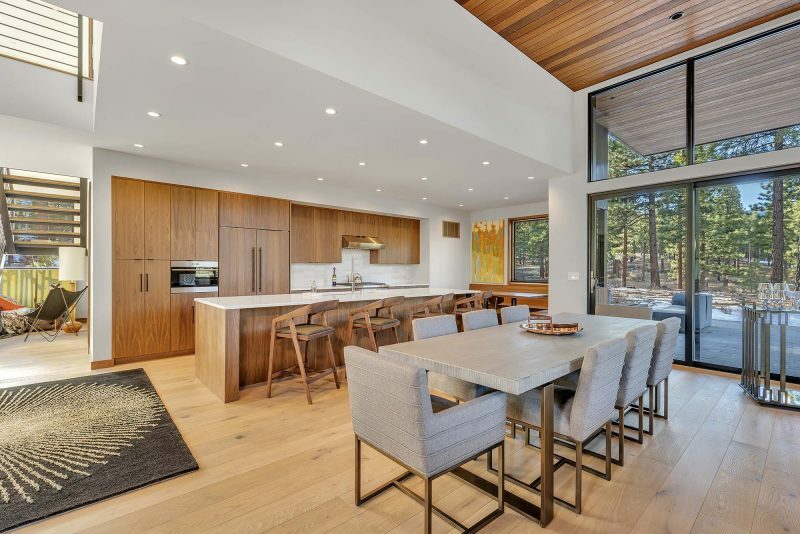 The large kitchen, appointed with an expansive island and professional appliances, adjoins a spacious great room and ample indoor and outdoor dining areas and fire pit to provide space for large groups to spread out in every season. The home is designed to comfortably host a large group of friends or family. 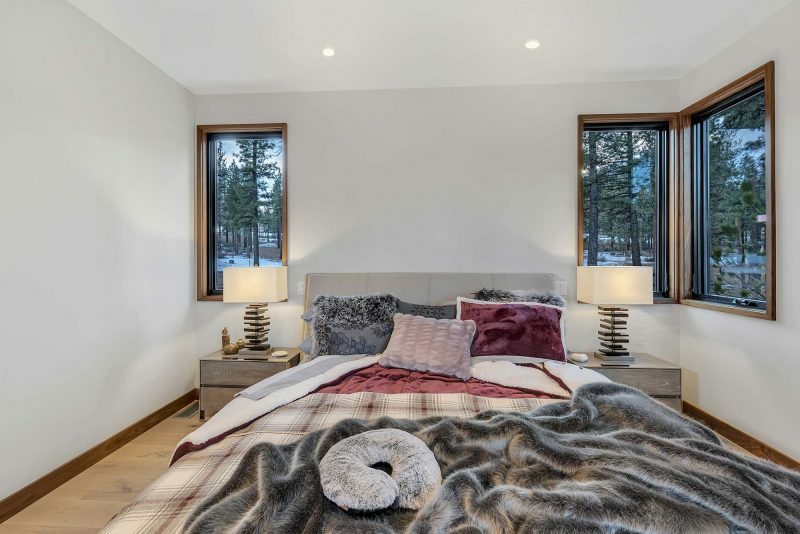 In addition, the home has ample service areas such as golf cart parking, ski storage, and separate laundry. A spacious mudroom creates an easy transition from outdoor to indoor activities with a large bench and a variety of storage options. The home offers two master bedroom suites. One conveniently located on the first floor and the second on the upstairs with large views towards the Carson Range. 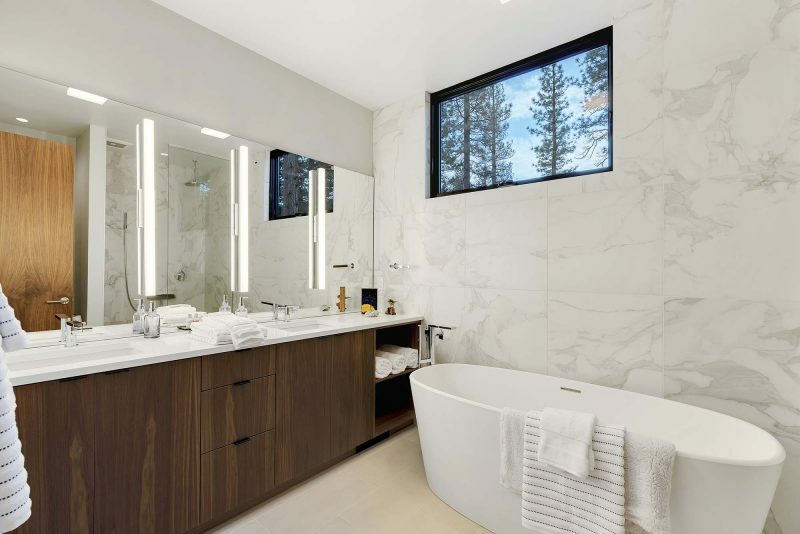 Both master bedrooms have walk-in closets and generous bathrooms complete with large walk-in showers. Additionally, the second floor hosts a built-out bunkroom with adjacent bunk bathroom, and a fourth bedroom with ensuite bathroom and flex room that can be used as a fifth bedroom, office or media room. The sale price includes Social Membership to the club providing access to all amenities excluding golf. This home is listed for $3.195 million with Chase International, an affiliate of Luxury Portfolio International®.